Wait, let me guess…. um, vanilla! How did I know that? Because most people prefer vanilla over any other flavor. Don’t worry, it doesn’t mean you’re boring.Vanilla’s just popular. Let’s say you’re in the vanilla ice cream business. You’re the entrepreneur of ice creamy goodness. The brains behind the bean. Congratulations, you have a large share of the market! Except it’s too large. And there are so many other purveyors of vanilla ice cream. How do you corner your particular niche of your vanilla-loving market? 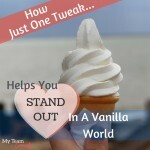 How do you market your product so you stand out in a vanilla world? Close your eyes and be your customer for a moment. What do they remember about you vs. your competition? Which juicy part of their senses or psyche do you nudge? You’ve got to add something to stand out. Or, whittle it down to bare bones and stand out. No matter what business you’re in, chances are, there’s someone selling something similar (say that five times fast), so you have to stand out to get people to notice what you do. 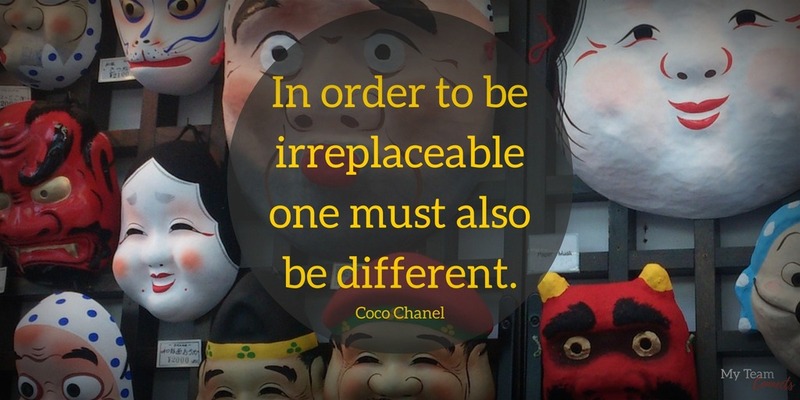 You’ll also have more fun marketing if you distinguish yourself from everyone else. Pump up the fat content. Serve it in an unusual container. Serve it with a smile or it’s free. Serve it with a thought-for-the-day. Serve it with a compliment. Serve it with pie (and I’ll be there). Serve it some way, somehow, with something, anything, to earn a special place in your customer’s heart. 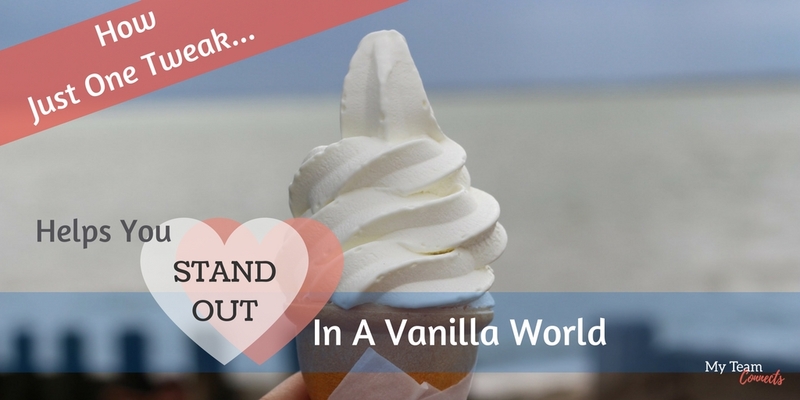 You’ll sell a lot of ice cream cones if you’re not “just” vanilla… but that special brand of vanilla. Now think about your business and scoop out a niche for yourself. Go ahead and serve up something really cool and different. Do you practice your craft in a weird way? Hold opinions that swerve from the mainstream? Devote more ___ to your ____? OK, let’s say it differently: Anything quirky about your methods, your experience, or your customers? That’s what you want to tell your readers and potential customers all about! With all the choices in the market, you want your customers to know you for something unique; something jaw-droppingly, crazily unique. Then, make sure your copywriting and content reflects that. Avoid just sending news about your latest launch or release. Even coupons, discounts and invitations get old unless you intersperse them with valuable content no one else is sharing. Think of your copy and content like just like serving up another scoop of your best vanilla ice cream. In a world full of content, your customers are the ones who value yours and give you their business — even though they can get vanilla anywhere! Your scoop of content melts into that visceral corner of their brain where emotions stir… people get hooked and come back for more. Need a hand identifying how you are “YOU-nique”? You’ll also gain access to ebooks, videos and other free marketing resources for freelancers, solopreneurs, and small businesses.